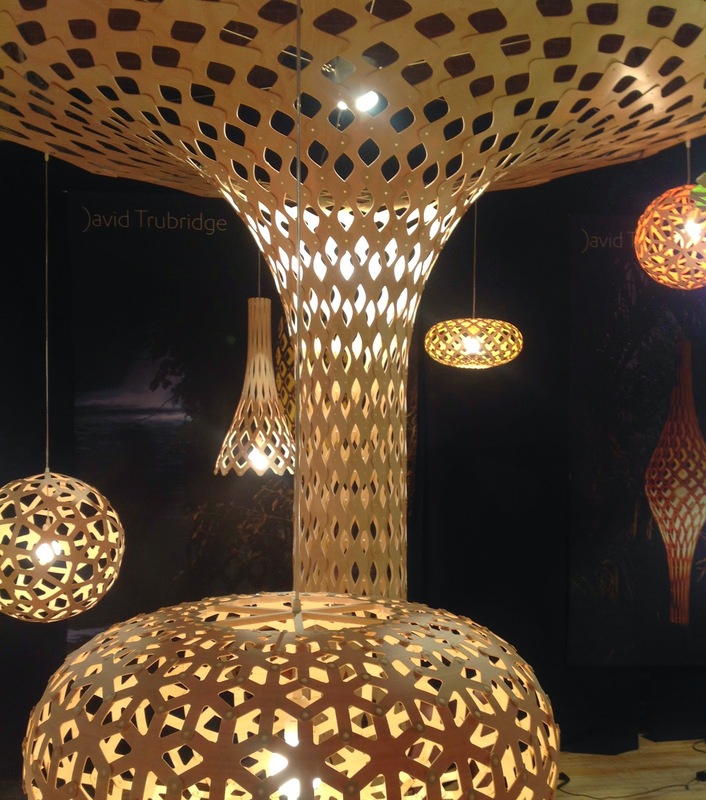 Furniture designer David Trubridge has devised some thrilling light fixtures all based off a simple shape that connects together. The repetition creates some unexpected patterns and wonderful lighting affects. 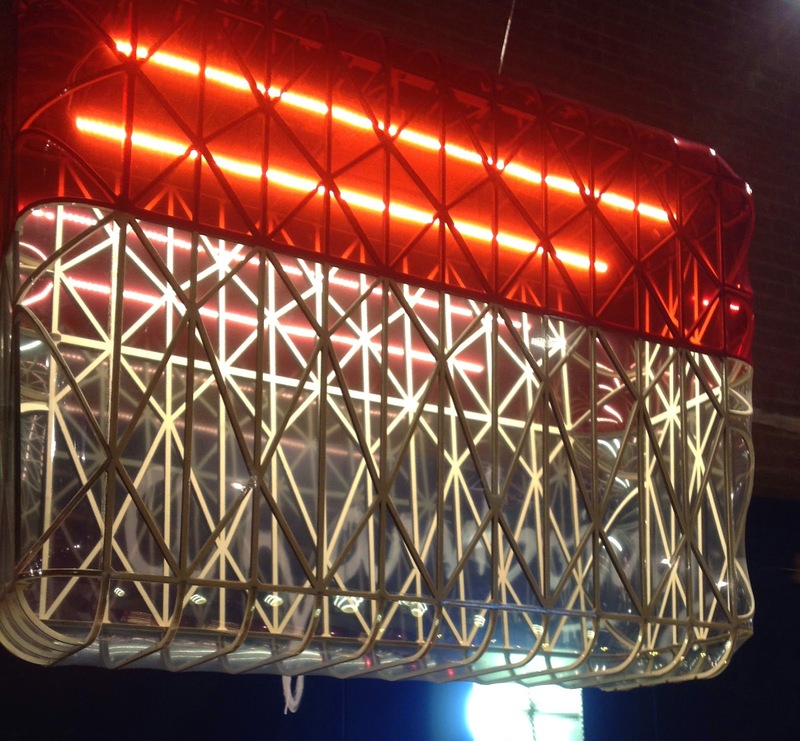 The fixture above is called Kina and its materials are Bamboo plywood with frosted polycarbonate. 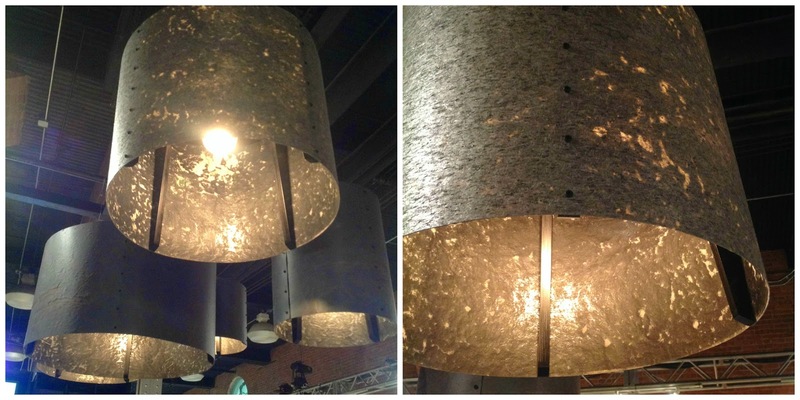 Trubridge's felt fixture also acts as an acoustic device. ILEX launched "The Portfolio", a collaborative partnership which showcased six pre-eminent and emerging American designers, three of which I had the pleasure to meet along with CEO Alan Indursky. 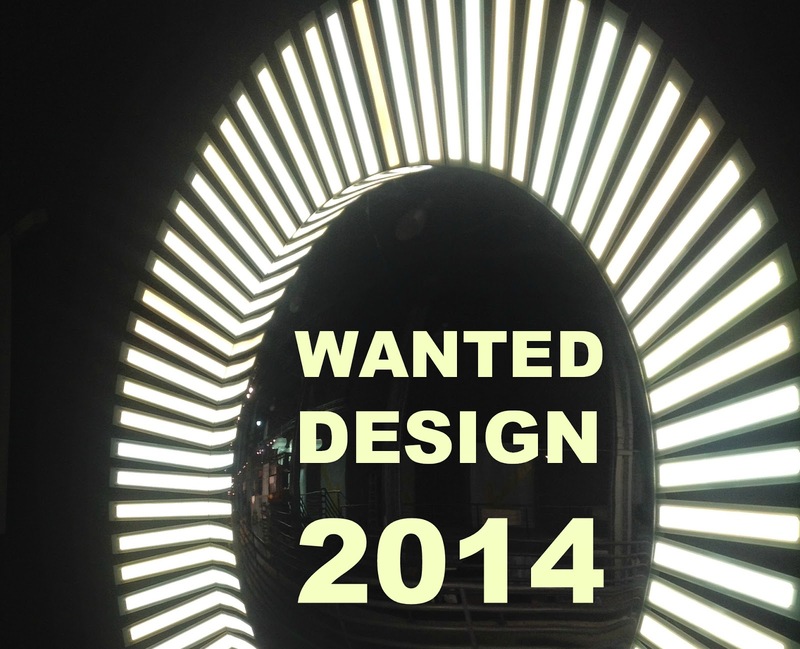 They each designed distinct architectural lighting with different solutions. Above is La Cage by Mick Ricereto. Great sleekenss to its industrial cage - is made out of plated steel and opal glass. Love the elegant and simplistic lines of the Michael Walk's Timbale. 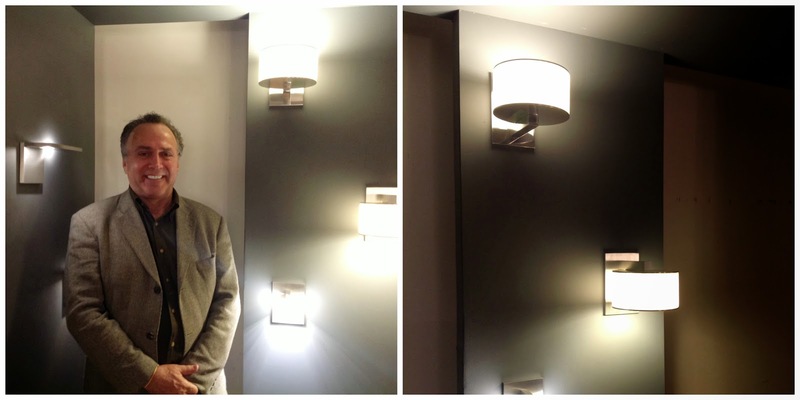 He explained to me that the shape is great for hotel installations due to its depth. It comes in aluminum and matte acrylic. 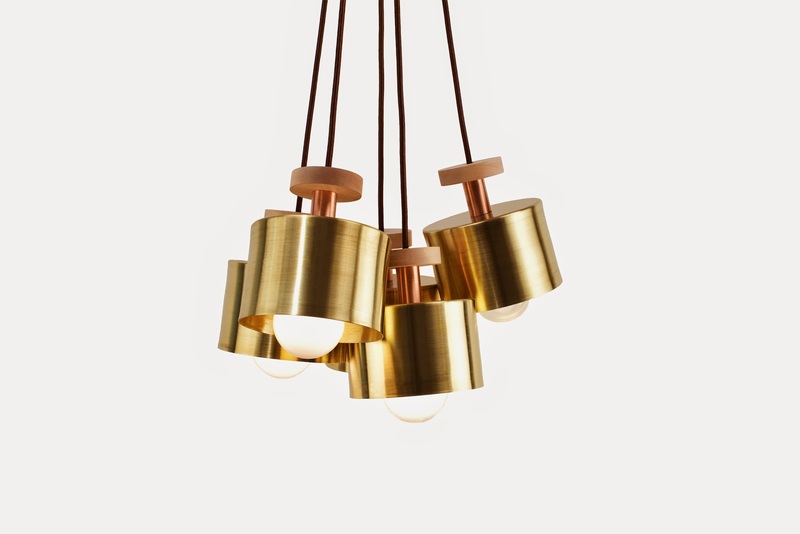 The stunner was Laura Kirar's Libro Multi-pendant. It just shimmers. The amber glass made in Milano takes on an interesting shape and its brass hardware and gold flecks envelopes the light around it. 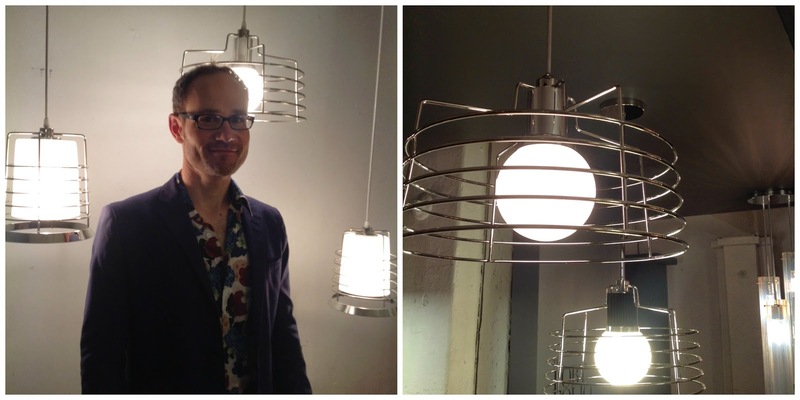 Laura told me she envisions the fixture for large installations and I totally agree with her! A large grouping would be just fabulous! Socket Pocket, a proud partnership of designers in Seattle Washington has a variety of cool modern fixtures with great uses of materials. The Spun fixture is a natural beauty with a beautiful copper shade accessorized with wood, copper and powder coated aluminum. Stokk and Strung below both offer versatility and can be clustered. Product and Fashion designer Anastasia Su and Architect Martin Lesjak have partnered as 13 & 9, an interdisciplinary design collective. Besides the amazing jewelry, and handbags they design, 13 & 9 has created the Rock collection, an amazing modern light collection made from razor thin natural slate stone veneer. The stones natural variations assure a one-of-a-kind piece. 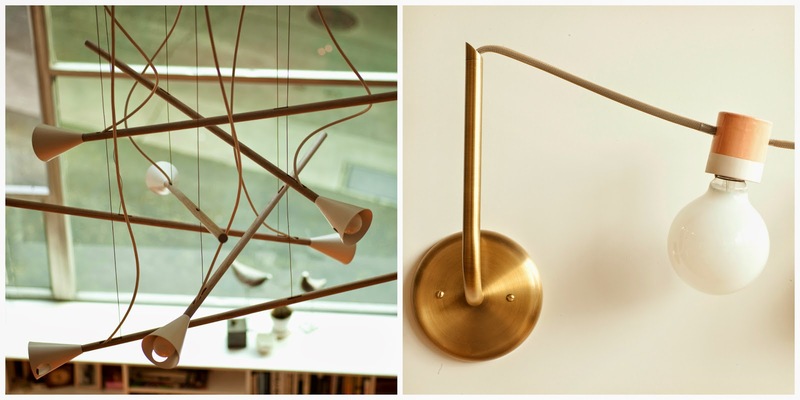 The fixtures can stand alone or be grouped together. 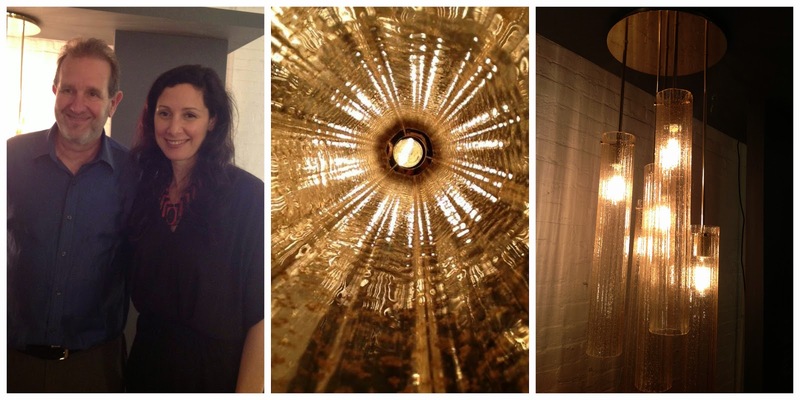 Designers Stephanie and ToddMacAllen of molo design create installations related to spaced making. 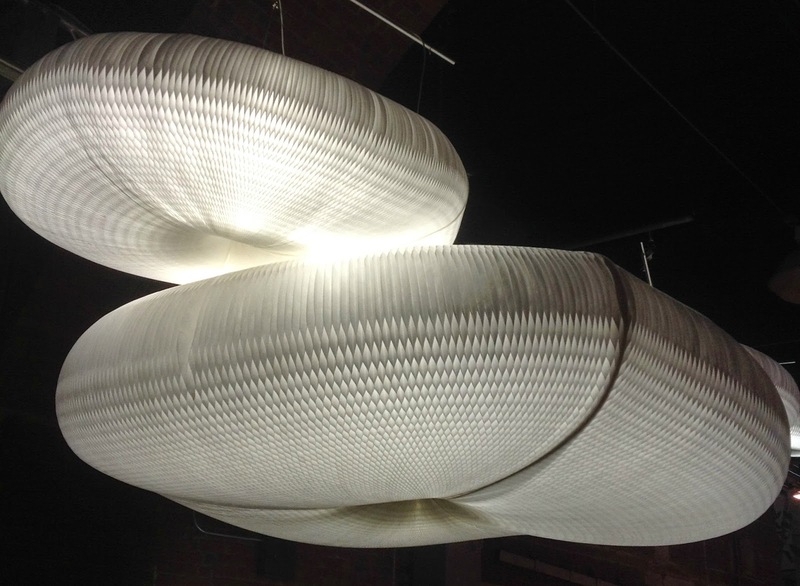 Their could softlights hung over their softwall and soft seating creating an entryway for visitors of the show. Artisan Francois Azambourg has launched a line of furniture and objects all handmade. 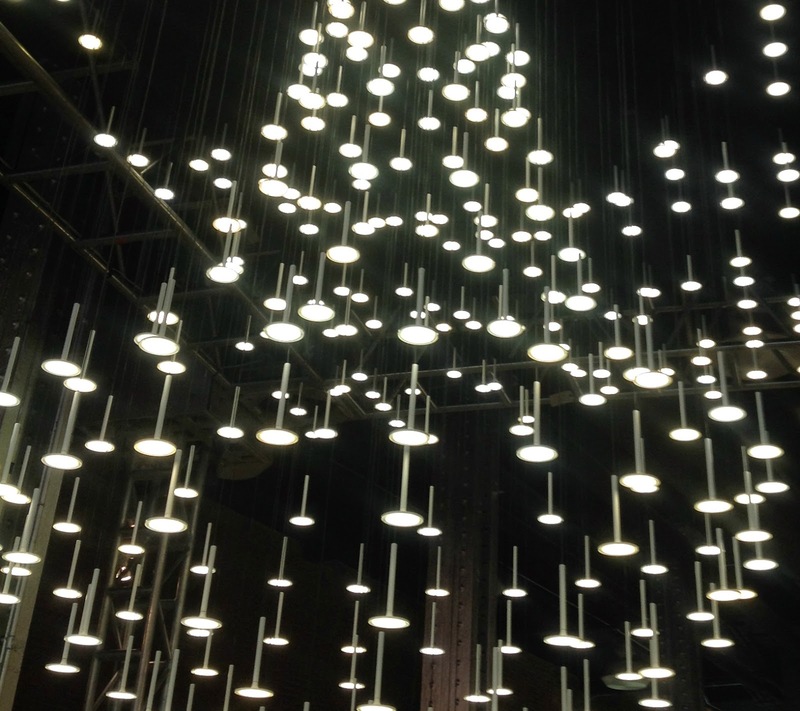 His LED Hanging Lamp called Very Nice echoed structural bridge construction. It is laser-cut and glued with 9mm birch faced plywood structure. Polyester is stretched and wrapped by hand as well. 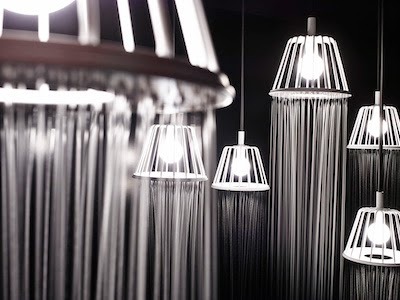 Designer Oki Sato of Nendo widens our thoughts of what the shower experience can be. 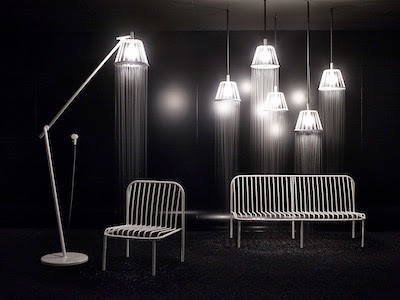 For Axor, Nendo has developed a shower fixture as a lamp. What we know to be a fixture in a livingroom will now be translated into the bathroom experience.